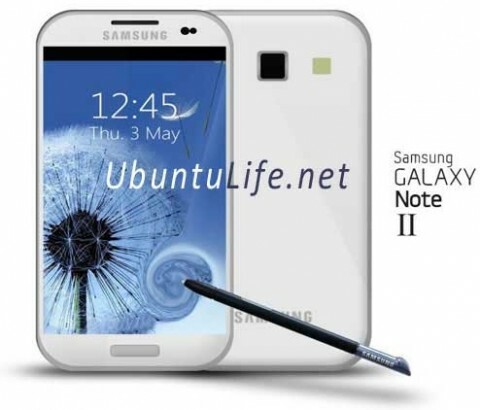 Samsung Galaxy Note 2 Rumors Surface, Available on October? The successor of the Samsung Galaxy Note could be launched this October, marking a year after the original device hit the market. The first Galaxy Note gained a lot of positive feedback, particularly at how it was able to create its own category. In a sea of tablets and smartphones, the Galaxy Note presented itself as a hybrid. It called itself a phablet, and spawned similar devices like the HTC Titan II or the LG Optimus LTE from rival manufacturers. Many appreciated its innovations, including its portability due to the 5.3 inch display, as well as its use of stylus-based input. Now, as rumors escalate about the specifications of the upcoming Galaxy Note, Samsung needs to once again impress the increasingly meticulous consumers. The Samsung Galaxy Note 2 is expected to have Super AMOLED PenTile matrix 5.5-inch display with WSXGA+ 1680 x 1050 resolution and ~360ppi pixel density. This makes it a bit larger than the original’s 5.3 inch display, possibly to accommodate new features. Its processor will either be the Exynos 4212 quad-core processor found on the Samsung Galaxy S III or the dual-core Exynos 5250 processor. Its RAM will probably be around 1.5 to 2 GB, while its OS will be Android Ice Cream Sandwich. Like many new devices, it might also offer 4G connectivity. The recently-released Galaxy S III might furthermore inspire some features on this device, such as Near Field Communication, S Beam, and S Voice. What is perhaps almost certain is that the device will carry the S Pen once again, since it has become a signature characteristic of the Galaxy Note. Currently, Samsung is still silent on the new Galaxy Note, although its audience can no longer contain its excitement for the device.